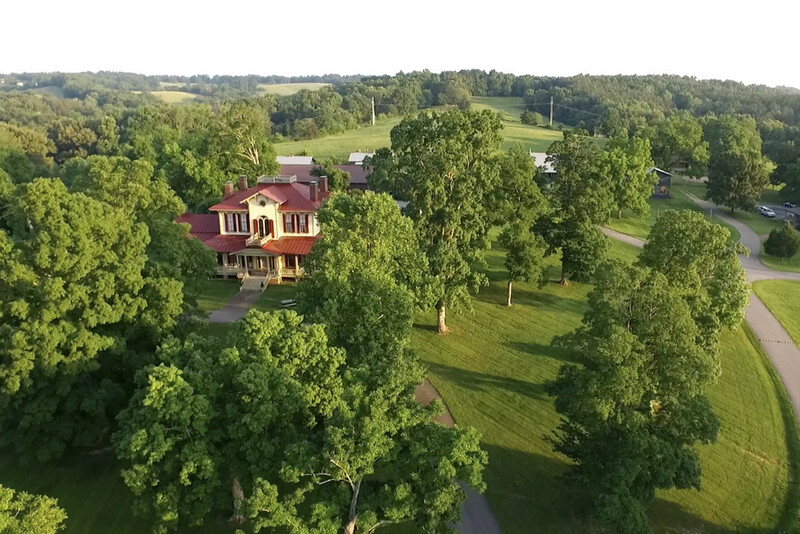 Located in a beautiful ranch-like setting in the breathtaking rolling hills outside of Nashville, TN, Onsite provides a safe, loving, family environment where guests can break the cycles that hold them back and rediscover themselves and their relationships. They are committed to creating the highest quality experience possible through their passion, innovation, and service. 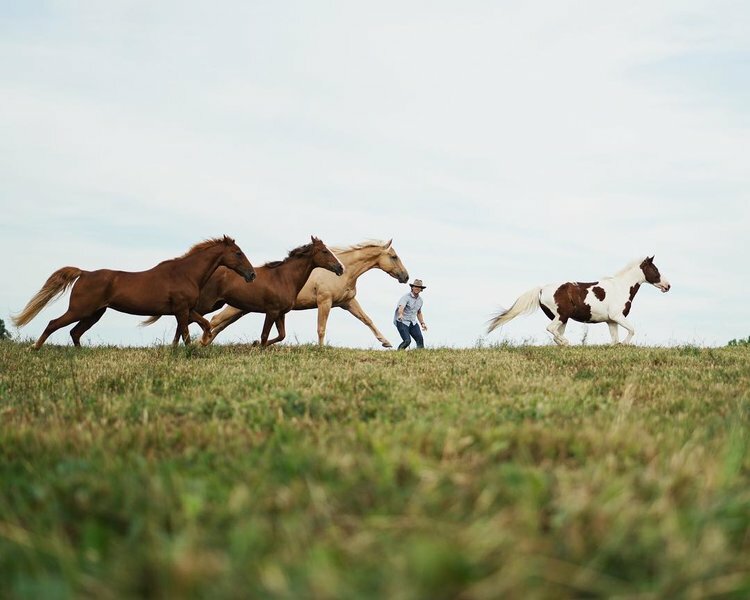 Known for many years as the worldwide leader in therapeutic and personal growth workshops, their primary goal is to help each guest reach their full potential of emotional freedom. Onsite offers short and long-term experiential therapy workshops designed to help individuals and couples experience a breakthrough and discover a better future. 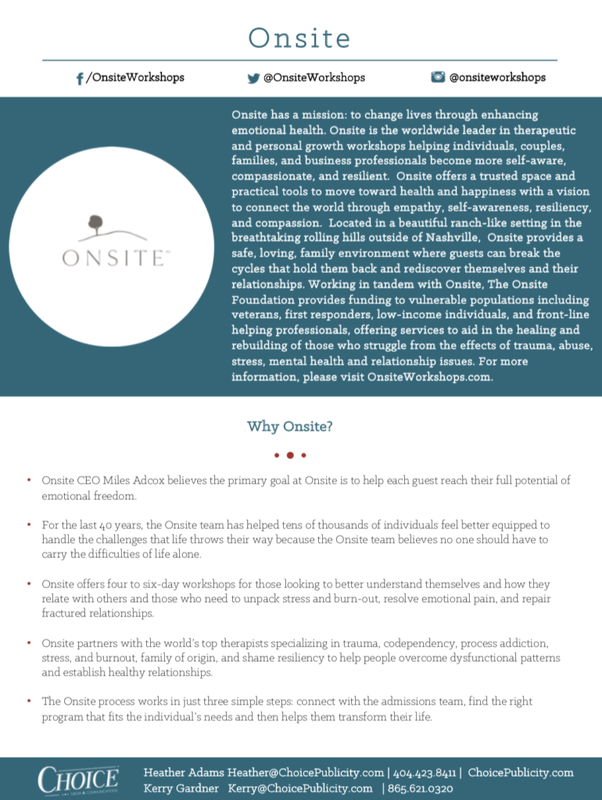 Onsite partners with the world’s top therapists specializing in trauma, codependency, process addiction, stress, and burnout, family of origin, and shame resiliency to help people overcome dysfunctional patterns and establish healthy relationships. Specializations: Trauma, Codependency, Shame Resiliency, Love Addiction, Family Systems, Healthy Sexuality and Intimacy, Spiritual Growth, Relationships, Stress and Burn Out, Second Stage Recovery, Process Addictions, Emotional Growth.